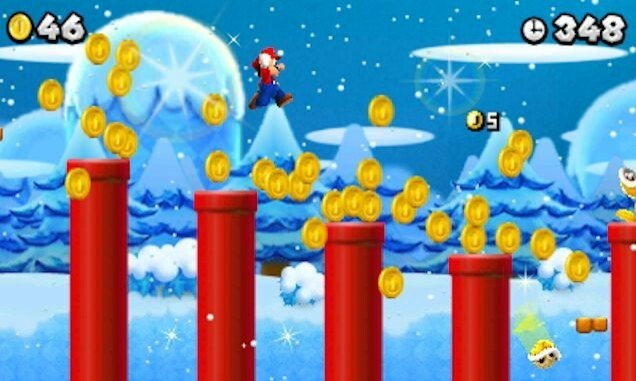 New Super Mario Bros 2 3DS Review. So what are you waiting for? Go out and buy New Super Mario Bros 2 now because you'll be playing this game until the cows come home. Mario is a true gaming institution and we've seen the world's happiest plumber engage in a variety of games over the years. However where this character shines is when he goes back to basics and "New" Super Mario Bros 2 (now with added 3D fun) returns players to a simpler time of side-scrolling arcade action. In essence, the game is a port of the Nintendo Wii version (not that there's anything wrong with that) and the developers have successfully moved this franchise onto the illustrious 3DS console. Best of all, New Super Mario Bros 2 feels like a classic 8-bit game with a dash of 3D and a twist of 21st century gaming which creates a fun, addictive and at times, frustrating gaming experience. 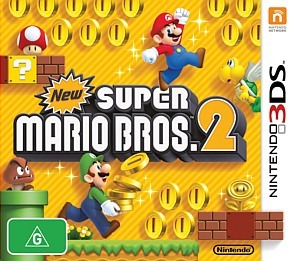 The story of New Super Mario Bros 2 once again focuses on Mario and his brother Luigi who must rescue Princess Peach from the nefarious Browser and his allies, the Koopalings as you collect power-ups, grab those gold coins and challenge a variety of enemies and bosses. Like the original, Mario and his brother must work their way through six worlds, including two bonus worlds and even a third bonus world when you rescue Peach that is oozing with old school paradigms. The developers also ensure that by keeping to the original formula, it doesn't over populate the gaming world with 21st century complexities. Thankfully the controls are perfect on the 3DS which assists with the gameplay. However the gameplay of New Super Mario Bros 2 can be quite frantic at times as you attempt to dodge obstacles, avoid getting hit by enemies and make the occasional leap of fate to reach a place in the gaming environment that seems impossible. Fortunately you have a few power-ups to assist in the process of achieving your goal such as the White Raccoon Suit for invulnerability or the Super Leaf which gives Mario the power of flight. 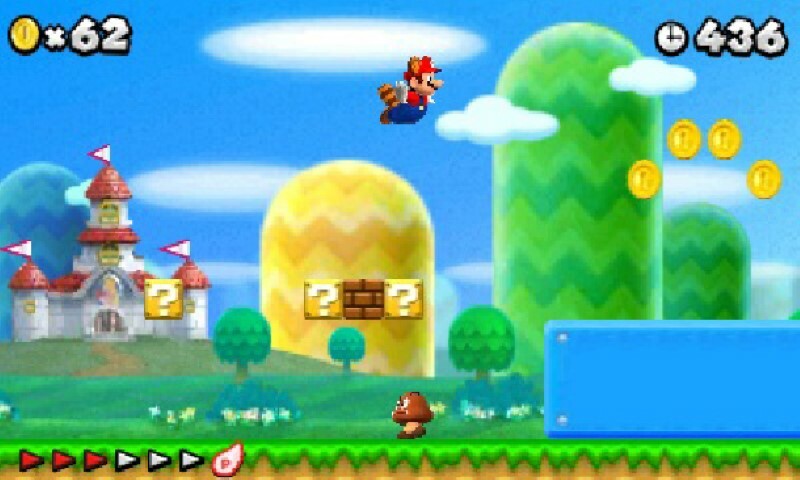 Although you cannot go past the fire flower power-up which gives Mario access to fire to take on his enemies. With more side-scrolling goodness than you can poke a stick at, this game will keep most people entertained for endless hours and best of all, there's multiple ways to finish the levels with lots of secrets to be found. Youâ€™ll definitely be playing this game again or with another person. 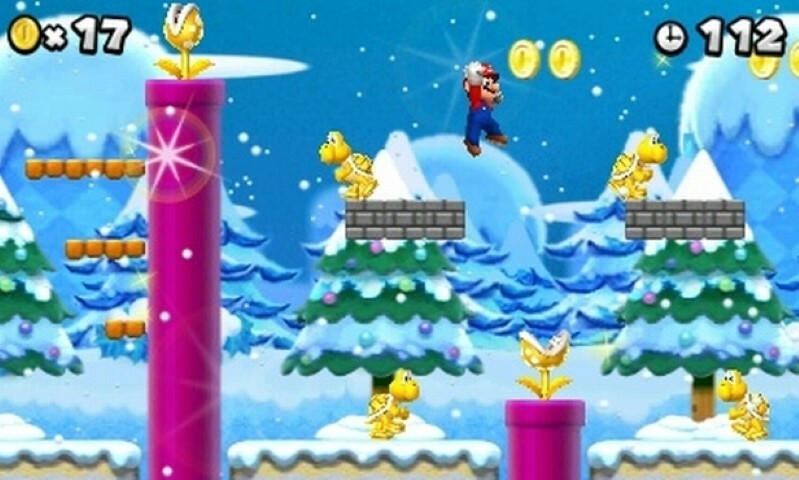 New Super Mario Bros 2 even features a strong multiplayer mode that allows the game to be played co-operatively with one player being Mario and the other Luigi. Although not as fun as the Wii version, multiplayer still works quite well on the 3DS, especially the Coin Rush mode which requires gamers to challenge each other in order to collect the most coins and not to lose a life during the three stages. For me however, co-op mode is what makes this franchise so entertaining. Graphically, New Super Mario Bros 2 features everything you would expect to see in a Mario game with some great gaming environments and special effects. Some of the worlds that you visit, be it under the sea or in the desert look quite spectacular on the 3DS. At times, you may find yourself dying because you have been distracted by something in the environment. 3D is an option and is used sparingly. By keeping the 3D quite subtle, it doesnâ€™t hamper the gameplay but rather, creates this strange pseudo 8-bit gaming experience. Add in the classic Mario sound effects and Nintendo have ticked all the right boxes. For gamers looking for a truly enjoyable title and more importantly, a game that plays extremely well on the 3DS, than look no further because this game is it. Just don't expect to be blown away by the innovative gameplay as we've kind of seen it all before but hey... it's awesomely good fun. So what are you waiting for? Go out and buy New Super Mario Bros 2 now because you'll be playing this game until the cows come home. Another home run from Nintendo!